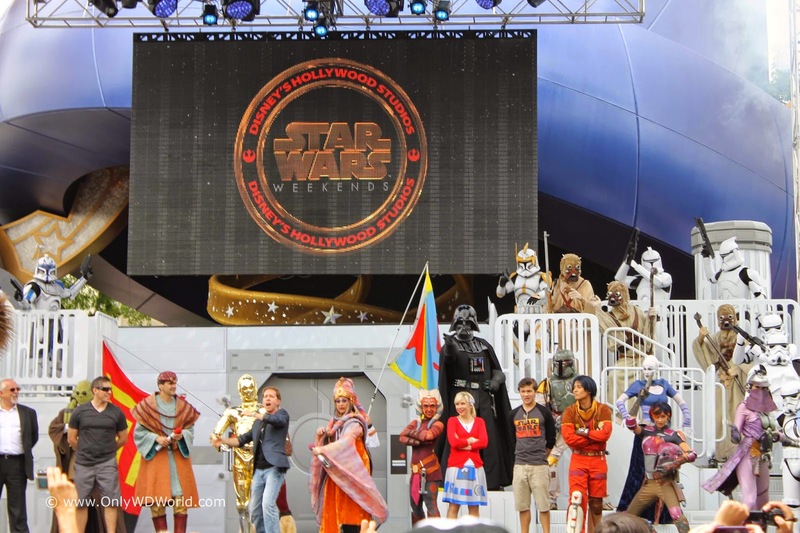 Star Wars fans now can see and experience more of their favorite Disney World Special Event during Star Wars Weekends - Feel The Force Premium Packages. 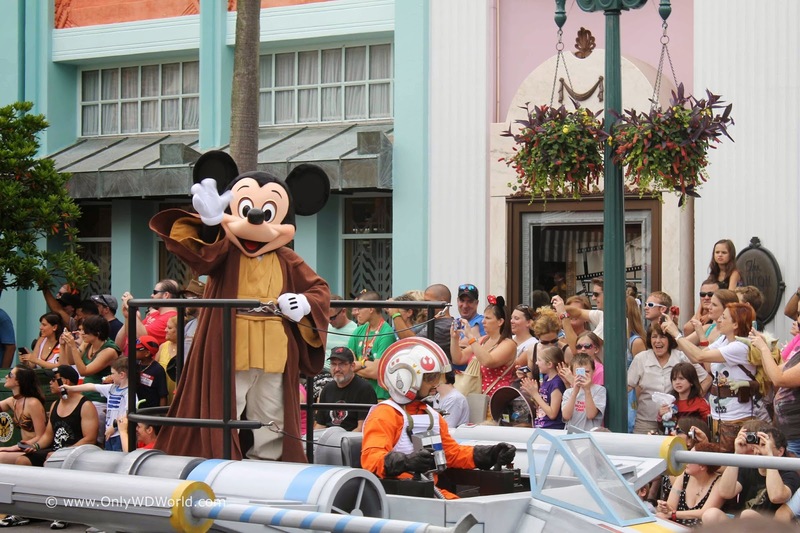 These packages enable Star Wars fans to have special reserved locations to view the popular Legends Of The Force Motorcade parade, premium seating at one of the special Star Wars Weekends shows, and a special reserved viewing area plus dessert party for the Star Wars themed Symphony In The Sky Fireworks show. A Star Wars-themed dessert party with specialty alcoholic and non-alcoholic beverages. Guests can purchase Feel the Force Premium Packages for $69 per adult or $39 for children ages 3 to 9 (tax and gratuity included). Be sure to purchase in advance—ticket quantities are limited! Check availability now. 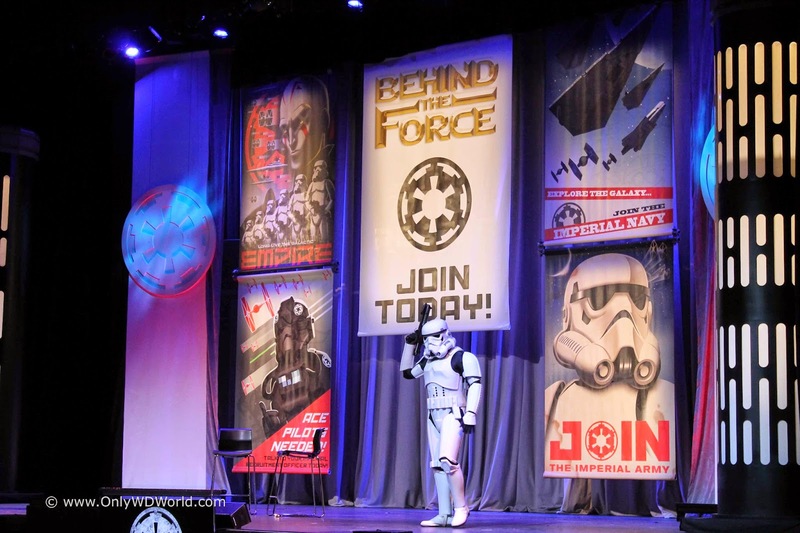 Read these important details about the Feel the Force event packages available during Star Wars Weekends. Feel the Force Premium Packages are available every Friday, Saturday and Sunday during Star Wars Weekends—May 15 through June 14, 2015—at Disney’s Hollywood Studios. Legends of the Force: Star Wars Celebrity Motorcade experience takes place from 10:30 AM to 11:30 AM, with the motorcade starting at 11:00 AM. Star Wars-Themed Dessert Party starts at 8:45 PM each evening. Symphony in the Stars Fireworks begin at 9:45 PM on the first weekend (May 15 – 17, 2015) and at 9:30 PM on all remaining weekends (May 22 – 24, May 29 – 31, June 5 – 7, June 12 – 14, 2015). Admission to Disney’s Hollywood Studios is required to attend Star Wars Weekends, and is not included the cost of the Feel the Force Premium packages. Guests can purchase both Premium and Premium Deluxe Feel the Force packages by calling (407) 939-3463. Guests under 18 years of age need parent or guardian permission to call. Please note that online booking is available for Premium packages only. Upon check-in, Guests will receive a credential for identification that will allow access to all package experiences. Credential identification is non-transferrable and will not be replaced if lost or stolen. Tickets should be paid in full at the point of booking. Guests are encouraged to keep their confirmation, which can be shown at the event location for access. Seating (and special seating requests) are not available for the outdoors motorcade and fireworks events. However, wheelchairs and ECVs can be accommodated. In the event of inclement weather, the motorcade and fireworks events are subject to change or cancel without notice. However, the dessert party may be moved to an alternate indoor location—please proceed to the original event location to be directed to the alternate location. The fireworks dessert party includes specialty beverages with an alcoholic option. Guests must be 21 years of age or older to consume alcoholic beverages, and a valid form of government identification will be required to verify age. Feel the Force events may not be combined with any other discounts or promotions, including Disney dining plan. Availability is limited for some events, which may be cancelled at any time. Entertainment is also subject to change or cancellation without notice. Check the weekend event map for up-to-the-minute information about entertainment and appearances. 0 comments to "Star Wars Weekends: Feel The Force Premium Packages Now Available"